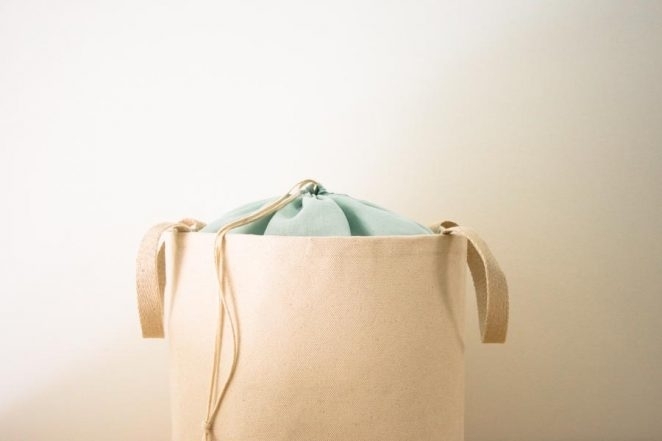 This Drawstring Bucket Tote is full of wonderful possibilities. Grab it for a beach day, a picnic or a trip to the market. 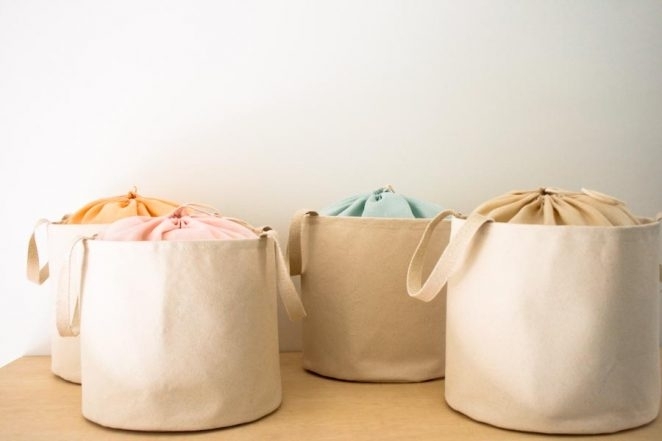 Or keep it at home for duty as a stash basket, a small hamper, or a toy bin. 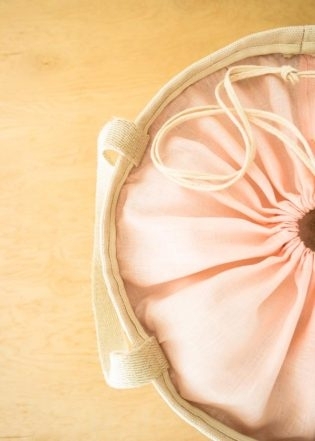 However you end up using it, our Bucket Tote is a super sturdy thing of beauty! Finished Dimensions: 40 inches in circumference, 12 ¾ inches in diameter, 12 3/8 inches tall, with an 8-inch handle drop. This fabric is very heavy, so it’s important that you use a jeans or denim needle, like the one suggested in the Materials list. 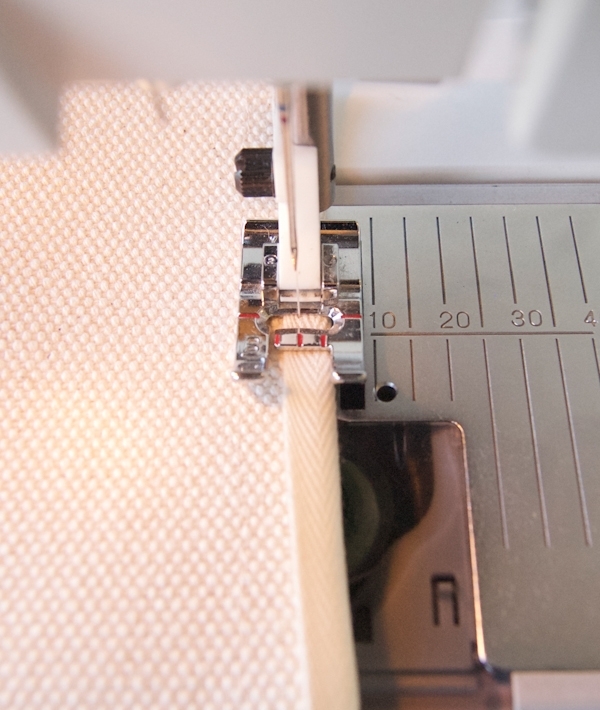 Adjust the tension on your machine so that it’s set for heavy woven fabric. 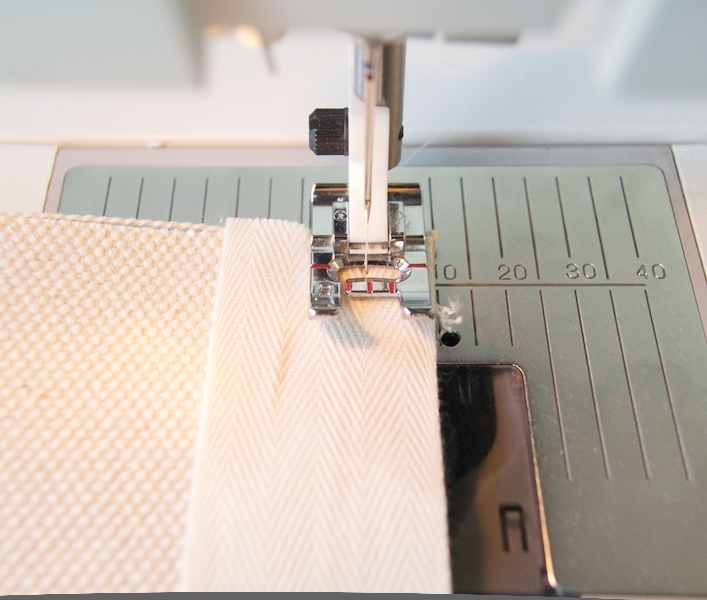 If you have problem sewing over a thick section of the bag, you may have to manually turn your machine’s wheel to make the stitches over this area. If you encounter any other issues, try re-threading the machine, re-loading the bobbin, and/or changing the needle. Usually one of these things clears up the problem! 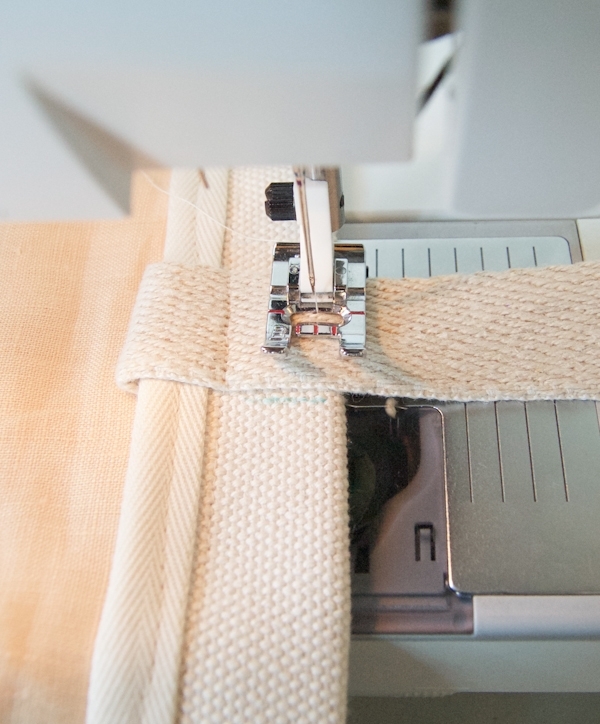 Before you start sewing your bag, you might try sewing two scrap pieces of the canvas together to get used to it. A slow and steady pace worked best for me. 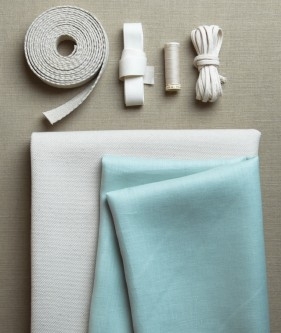 Because of the weight of this fabric, you will not use pins for this project, except in the “Prepare the Linen Panel” section. Backstitch at the beginning and end of every seam. 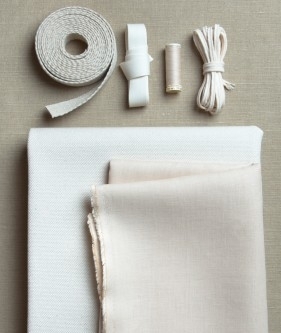 Pre-wash the linen only, but not the canvas, webbing, or twill tape. 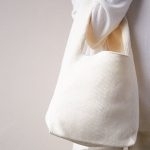 The finished Bag is machine washable. 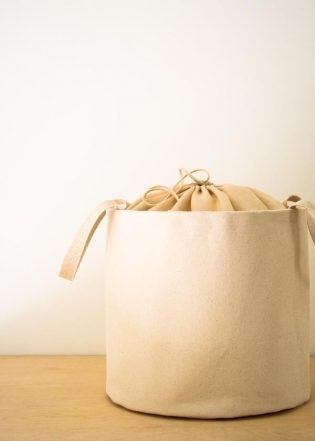 However, we recommend that you mold the Bag back into shape while it is still wet and let it air dry. 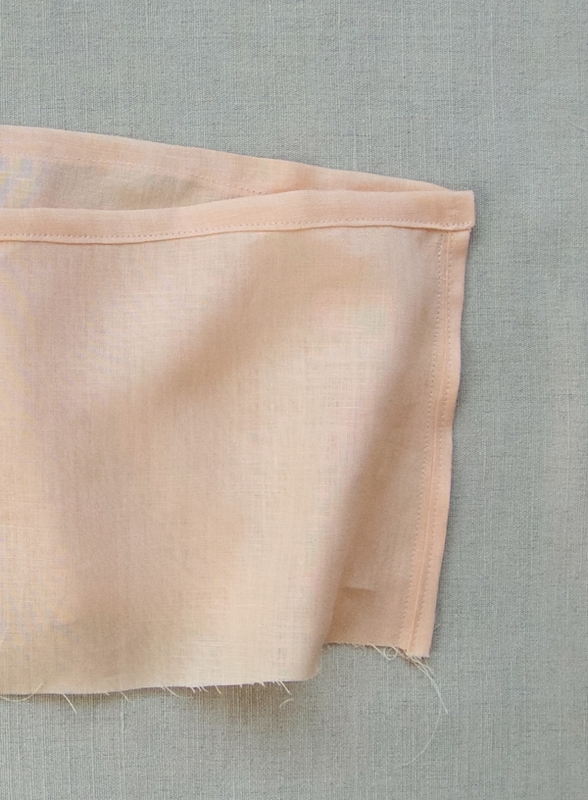 A 42 ½- X 9-inch rectangle.This is the Linen Panel. Two 22-inch lengths. These are the Handles. One 44-inch length. This is the Drawstring. A 42 ½-inch X 14-inch rectangle. This is the Bag Panel. Cut a roughly 15-inch square from the Canvas and place the center of the Quilt and Sew ruler in the center of the square. The center of the ruler is marked by a small hole labeled “0”. Place the tip of a pair of sharp scissors, or a knitting needle, or any similarly pointy object into this 0 hole to keep the ruler in place. This 0 point is the fulcrum point. 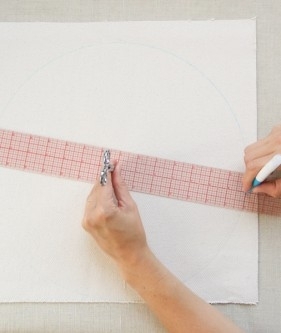 Now place your fabric marker (or pencil) in the hole marked “7.” Keep the 0 point firmly anchored as you move the fabric marker around 360° to mark a circle. Carefully cut out the circle with scissors. It will be 14 inches in diameter. 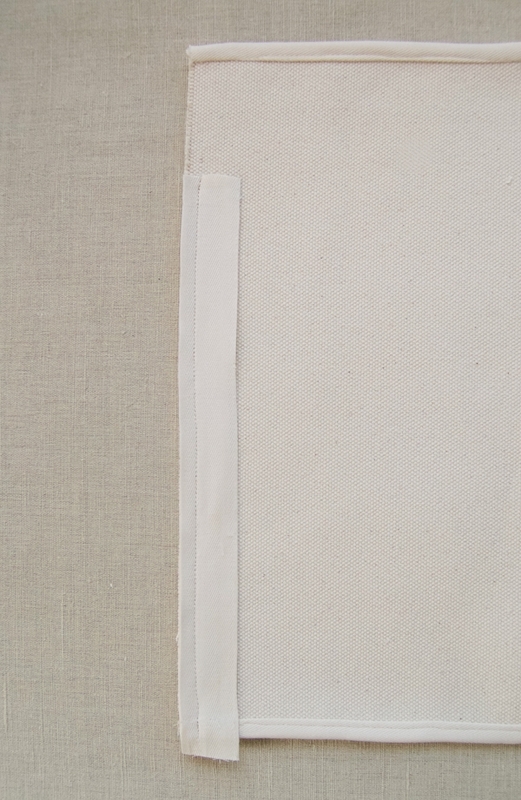 Align one of the 42 ½-inch pieces of Twill Tape with a long raw edge of the Bag Panel. 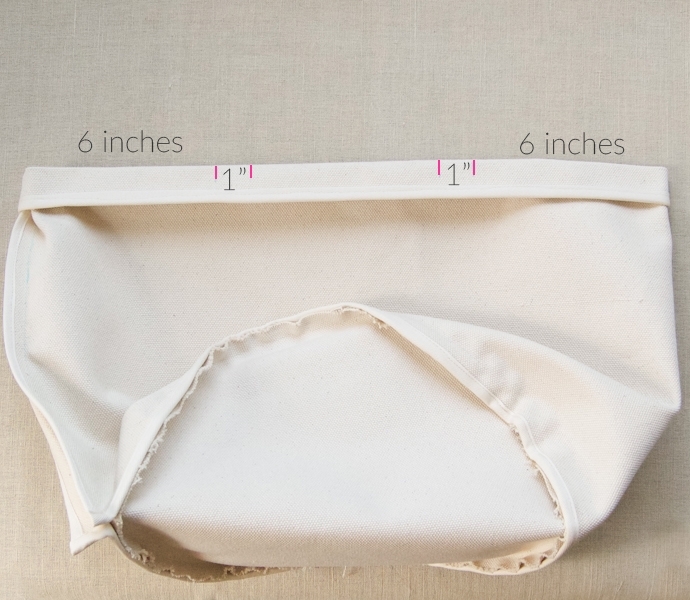 Holding the Twill Tape in place as you go (since you aren’t using pins), sew the outer edge of the Twill Tape to the Bag Panel with a 3/8-inch seam allowance. Flip the Bag Panel over and fold the unsewn edge of the Twill Tape over to this side, encasing the raw edge of the Bag Panel. The Twill Tape should reach about ¼ inch over the edge. Holding the Twill Tape in place folded over the raw edge, edgestitch it down. The long raw edge of the Bag Panel is now neatly encased in Twill Tape. 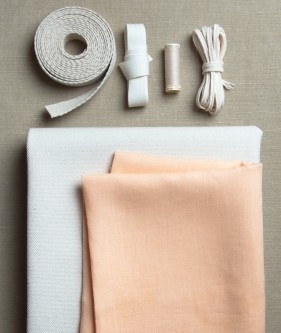 Repeat with the second piece of 42 ½-inch Twill Tape on the opposite long raw edge of the Bag Panel. Pick one long side of the Bag Panel that you would like to be the top. Sew one of the remaining pieces of Twill Tape onto one of the shorter sides of the Bag Panel in the manner described above, starting 2 inches from the top corner so that you have a small unfinished gap in the edge, as shown above. There will be a ½-inch overhang at the bottom edge. 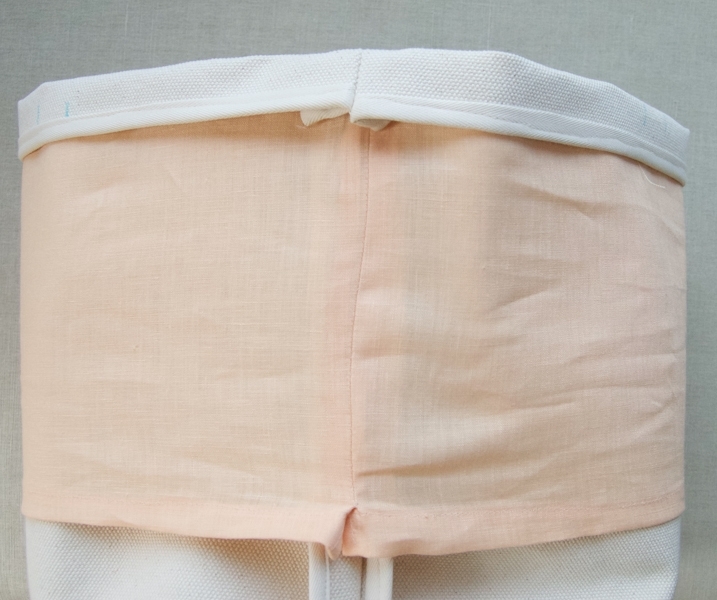 When you sew the second seam, tuck this overhang inside itself to create a neatly finished bottom corner. Repeat these steps to finish the second short side of the Bag Panel. With right sides together, align the edge of the Bottom Circle with the bottom edge of the Bag Panel, ½ inch in from its bottom right corner. 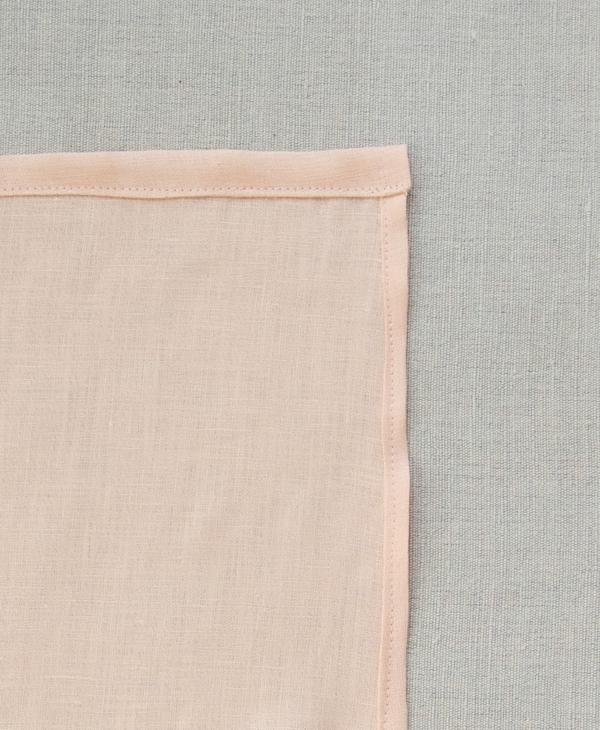 Sew these two pieces together with a 5/8-inch seam allowance, using the Bag Panel’s straight edge as the guide and shifting the circle as you go. 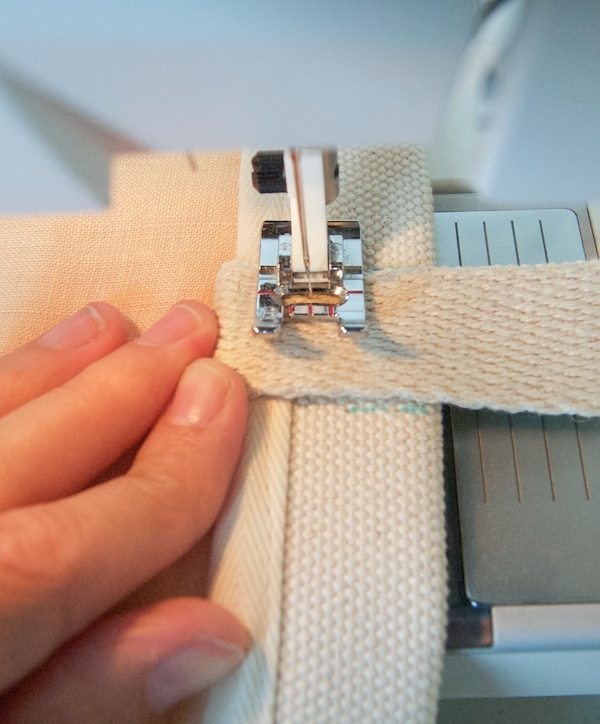 Do this by sewing a few stitches, leaving the needle down, and then pulling the edge of the circle over to the right to reunite it with the edge of the Bag Panel. 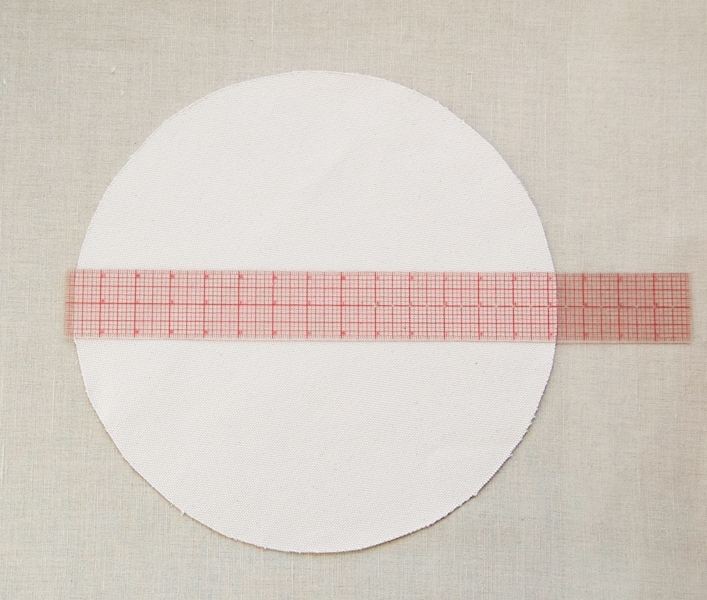 Sew around the entire circumference of the Circle in this manner, until the end of the seam meets the beginning of the seam. Arrange the two short sides of the Bag Panel so they are parallel to each other. (As shown here, the two sides may not meet up exactly, but that’s okay.) 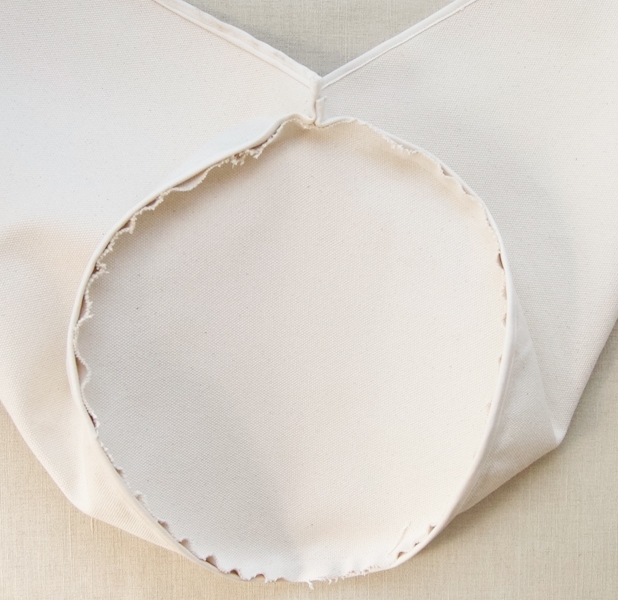 On the side where you first began sewing the bottom seam, mark a line ½ inch from and parallel to its edge. Holding the two sides parallel to each other, sew them together along this mark. Press this seam open. The Bag is now in a bucket shape! 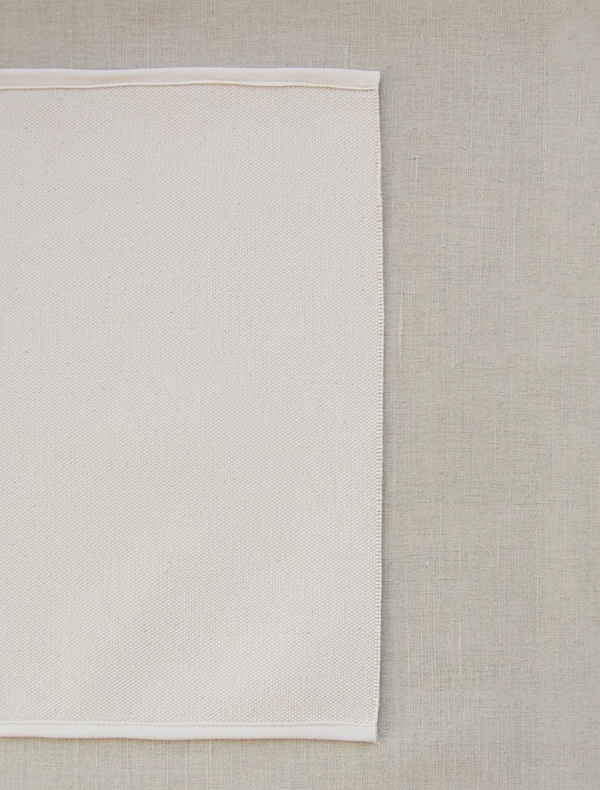 Press and pin a short edge of the Linen Panel ¼ inch twice towards the wrong side and edgestitch it down. Repeat for the second short side. 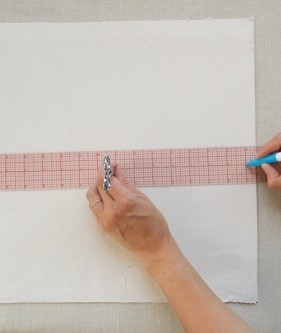 Press a long edge of the Linen Panel down ¼ inch towards the wrong side and then ¾ inch again. Edgestitch this fold down. This is the Top Channel . 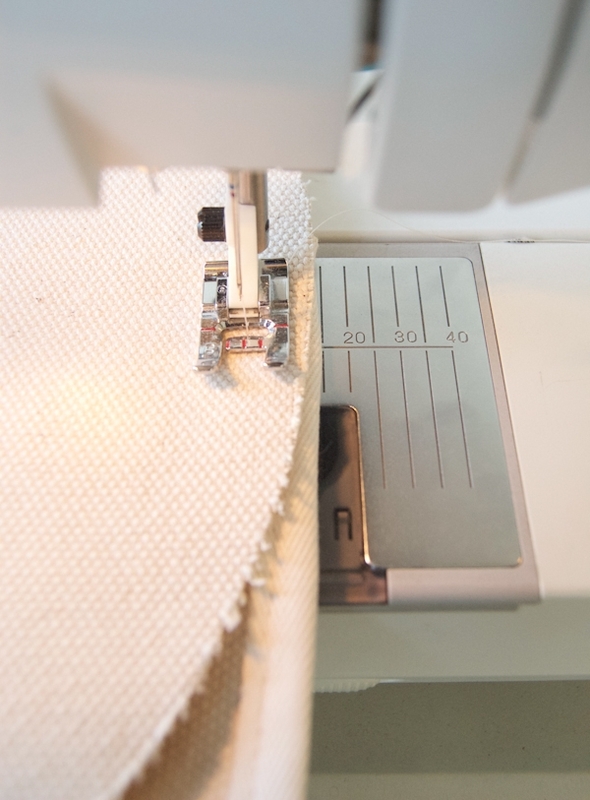 With right sides together, sew the two short edges with a ½-inch seam allowance, stopping directly under the Top Channel. The Linen Panel is now in a loop. Fold the top edge of the Bag Panel down 1 inch, wrong sides together, hiding the unfinished edges at the top of the Bag Panel. This is the Top Fold. 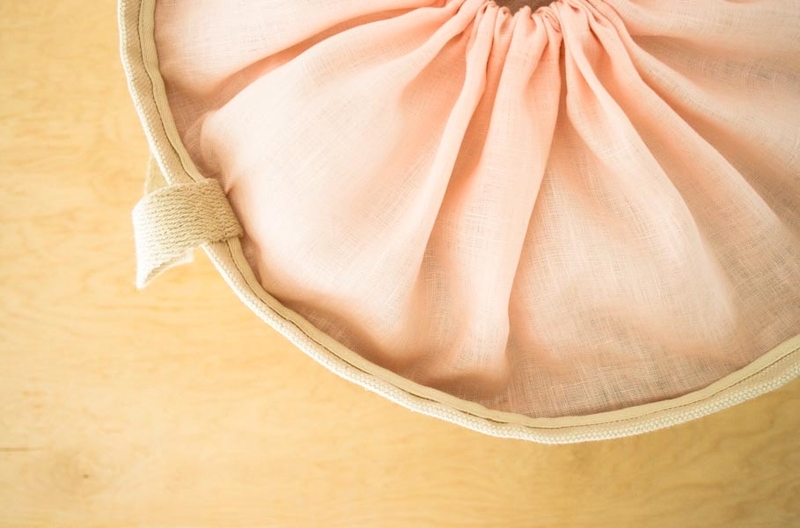 With the side seam on the left, pull the Bag’s sides outwards to flatten the Top Fold. 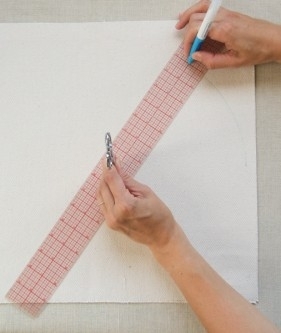 Measure 6 inches to the right of the side seam and make a small mark at the top of the Top Fold. Then make another mark 1 inch to the right of the first. 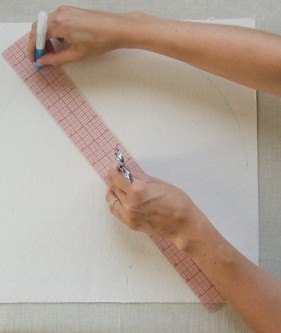 Then make a mark 6 inches to the left of the right top corner and 1 inch to the left of that. These are the Handle Marks. Flip the bag over and create Handle Marks on the other side in the same manner. 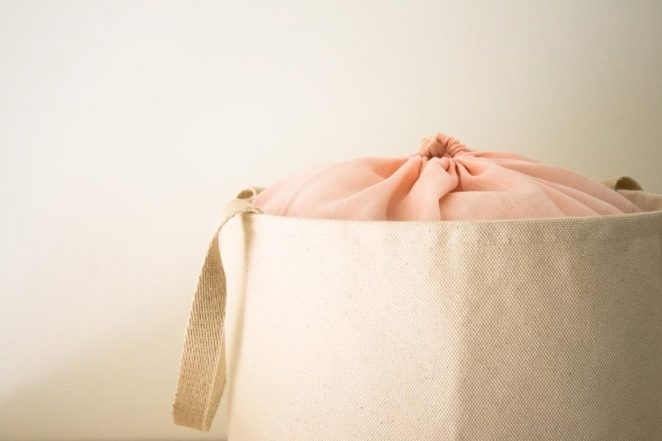 Fluff the Bag back into a bucket shape. 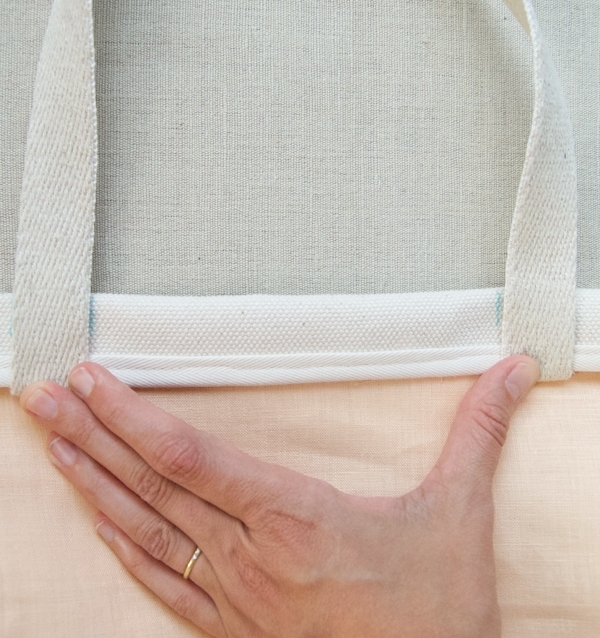 With wrong sides together, pull the Linen Panel onto the Bag with the Linen Panel’s Top Channel facing downward. 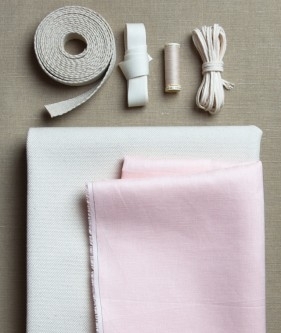 Tuck the raw edges of the Linen Panel under the Top Fold. Then fold the Handle up and away from the Top Fold. Press the Handle in place. Now, beginning just after the side seam, sew the Top Fold down directly above the Twill Tape, thus sewing the Linen Panel into place. 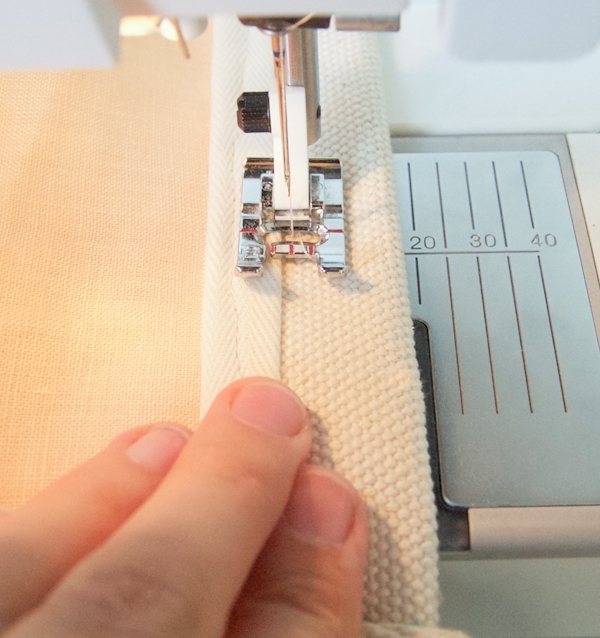 When you get to a Handle Mark make sure that the Handle is folded neatly inside the Top Edge and sew it down as well. 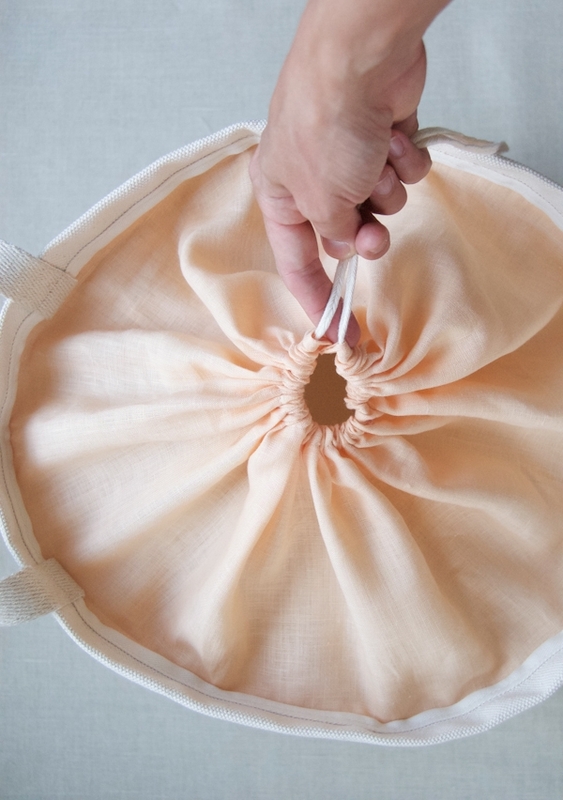 Sew around the entire circumference of the Bag in this manner. Edgestitch where each Handle meets to top of the Top Edge, as well. Tie an overhand knot ½ inch from each end of the Drawstring. 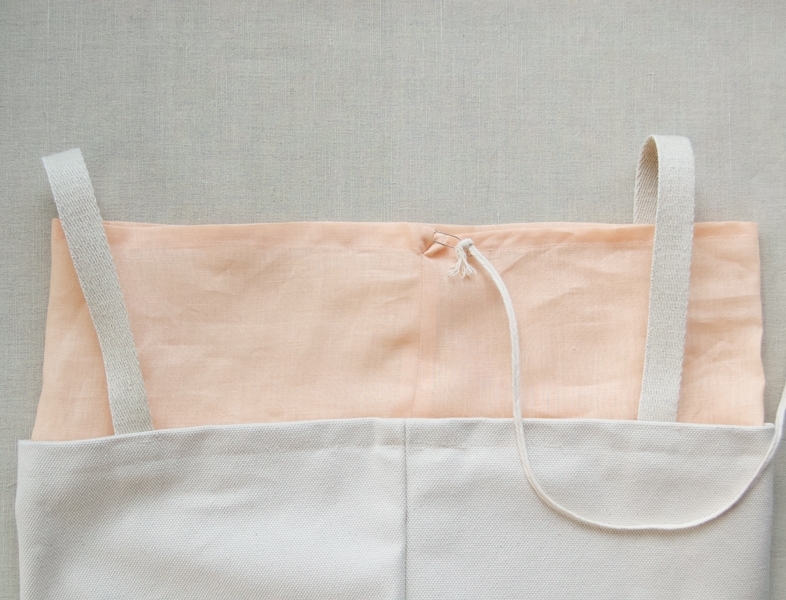 Using a safety pin or a bodkin pull the Drawstring through the Linen Channel. Pull the Drawstring to tighten the top of the Bag. Shouldn’t the bottom circle be finished somehow other than zig-zagging? It seems that all of the others seams are bound. Also, the linen seems to be quite thin. Won’t it pull away at the stitching on the heavy canvas? 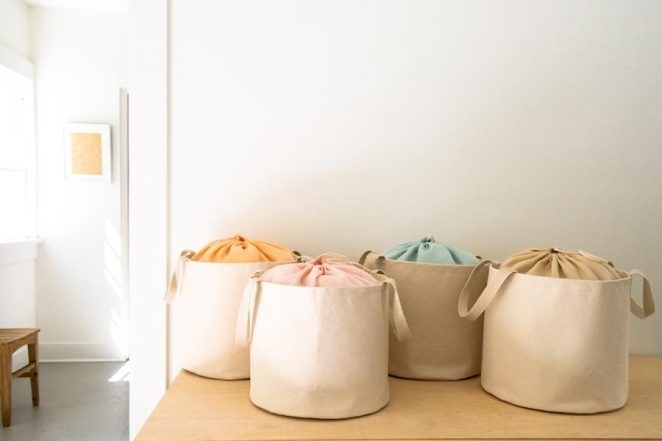 You certainly can finish the bottom circle by encasing it in the twill tape, just as you do for the sides of the Bag Pabel.You could follow the rest of the pattern exactly as written. However I didn’t include that in the pattern because I think finishing the edge of a circle like that is a bit fussy and challenging and adds extra bulk to the bottom. The zig zagged edge will hold up nicely and is almost completely hidden by the twill tape finished edge of the bag panel. 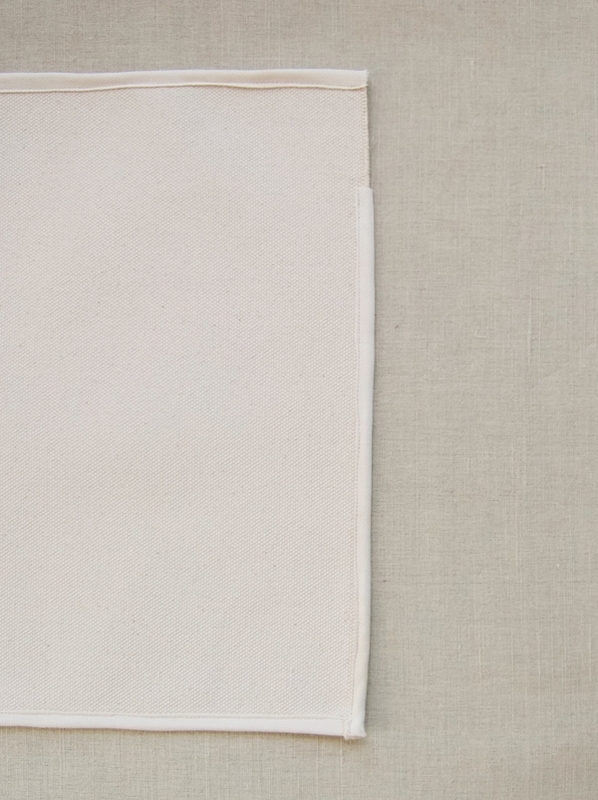 The linen is very light weight but it’s also very strong and doesn’t pull away from the canvas. Please let me know if you have any more questions. Thanks so much for getting in touch! When you say “Fluff the Bag back into a bucket shape. With wrong sides together” – don’t you mean right sides together? Unless I’m completely mistaken that is also what the picture shows. 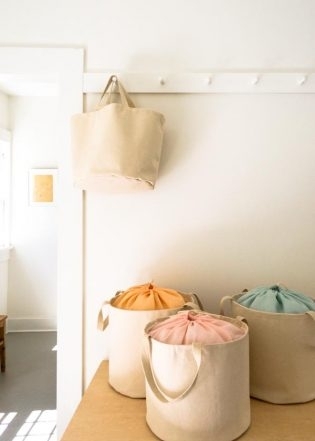 Fluff the Bag back into a bucket shape. 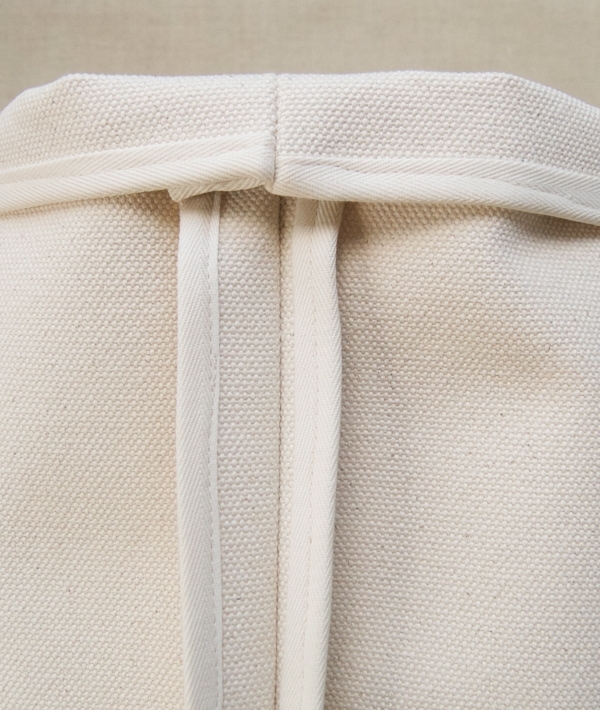 With wrong sides together, pull the Linen Panel onto the Bag with the Linen Panel’s Top Channel facing downward. So you will fluff the bag into a bucket shape with its wrong side facing out. And then pull the linen panel onto the bag so that the wrong side of the linen panel and the wrong side of the bag are together. Does this make sense? Thanks so much for getting in touch and please let me know if you have any more questions! 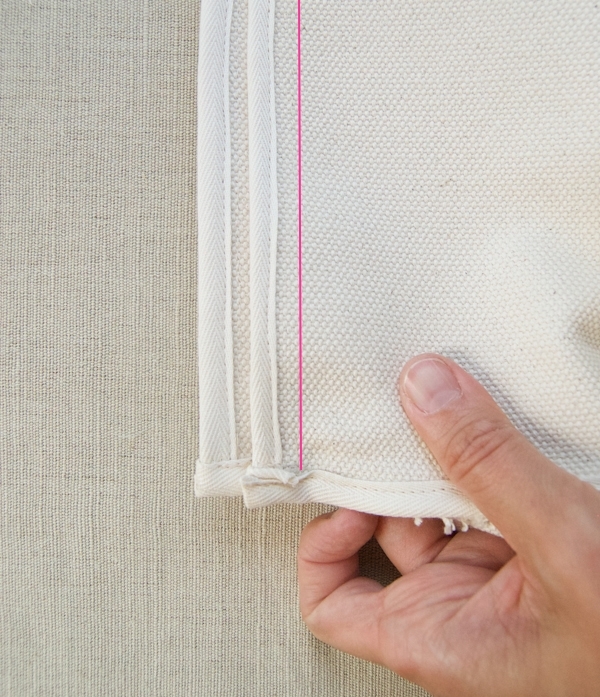 With wrong sides together, pull the Linen Panel onto the Bag with the Linen Panelâ€™s Top Channel facing downward. Thank you so much for all the unique projects you offer us. To me they are very useful in almost everything I try and beleave me I dabble in whatever I can these days. 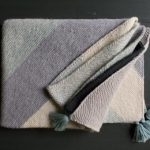 This project led me to click on “New at Purl Soho: Utility Canvas.” I want to make both the Quilted Throw and Classic Field Bag, but see they are no longer on your site. Will they be coming back? 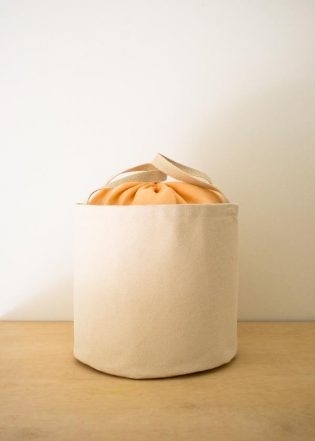 This bucket bag looks great and I’m going to make one (2? 3?) as soon as possible. I will look for similar material here in Scotland. Thank you for this pattern and tutorial. It’s going to be a very useful bag to have. I love the fact that it has a drawstring. 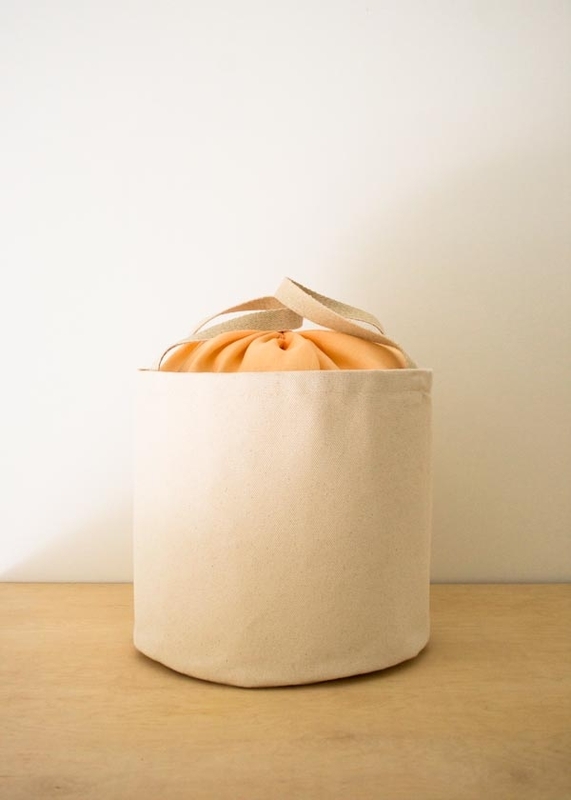 Do you think this bag would hold shape if it were taller? I’m thinking of using something similar as a hamper, but i’d like a bigger bag. Yes, it would hold its shape well even if it were taller. It’s very stiff fabric! Thank you from the bottom of my heart. I have wanted to make a present for a male friend for over a year now & I wanted to make a bucket bag to carry wine. The only ones I found were expensive to buy the pattern or too small. Thank you so much. I can get the present done now. editing fix… “drawstring”. gorgeous project! Oh my! Thanks for catching that! It’s been fixed. Hi Molly, I have some heavy denim would it be suitable to make this bag? I am thinking of using it as a clothes hamper. Heavy denim sounds like it would work perfectly! I put this lovely tote together today and had a ball sewing it. Thank you for the clear instructions and pictures, it made all the difference. The only thing I added was some extra stitching over the handles. We will get a lot of use out of this! Thank you. 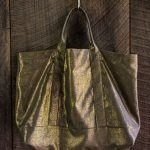 I am so glad to hear that this bag was a success! We love it to and it gets used for so many different tasks! There are no stores that sell sewing things where I live, I don’t have the twill tape . Do you think it would work if i just serged those seams or used bias tape? I’ll try it and see how it works. I’m also thinking of doing some embroidery on the side of the canvas and sell them at a market . Thank you for reaching out. I’m happy that this project is going so well, it sounds like you have some exciting plans! Either of those options will work great for this project. I’m excited to hear how this project turns out! 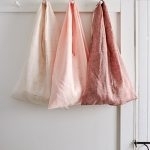 I want to make seaside collection bags for the kids to collect their ocean treasures. I love the design but need something smaller. I don’t have any experience altering the scale of projects. Any advice? Can I just cut all the numbers in half like I would for a recipe ?!?! Thanks for reaching out! 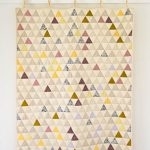 We do have another pattern that might work better for the size that you are looking for. Our Oilcloth Grocery Tote can be made using similar fabric to this tote and is quite a bit smaller. No math or proportions to work out!